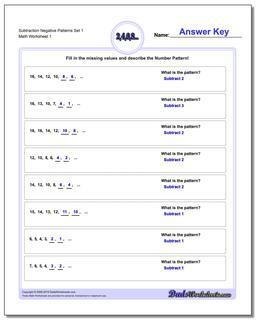 Prior to this set, the number pattern worksheets have worked exclusively in the set of positive integers. 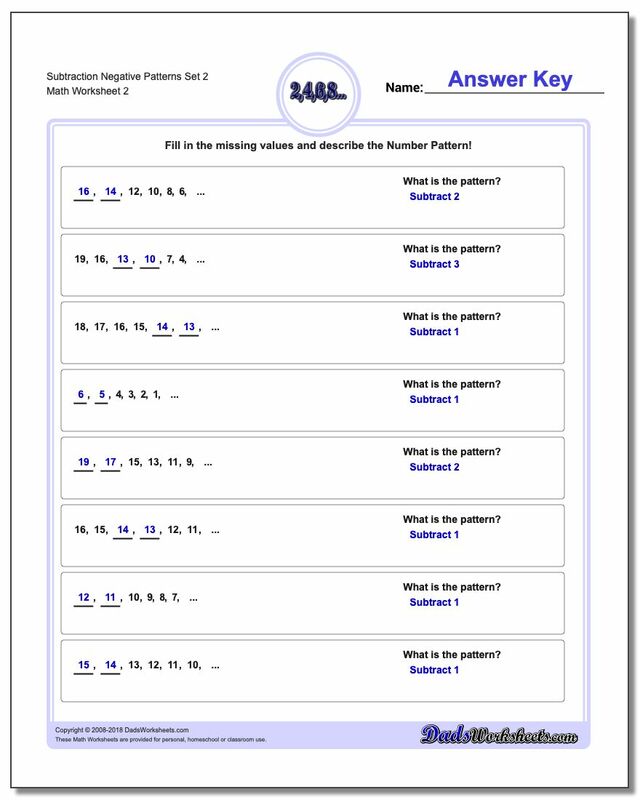 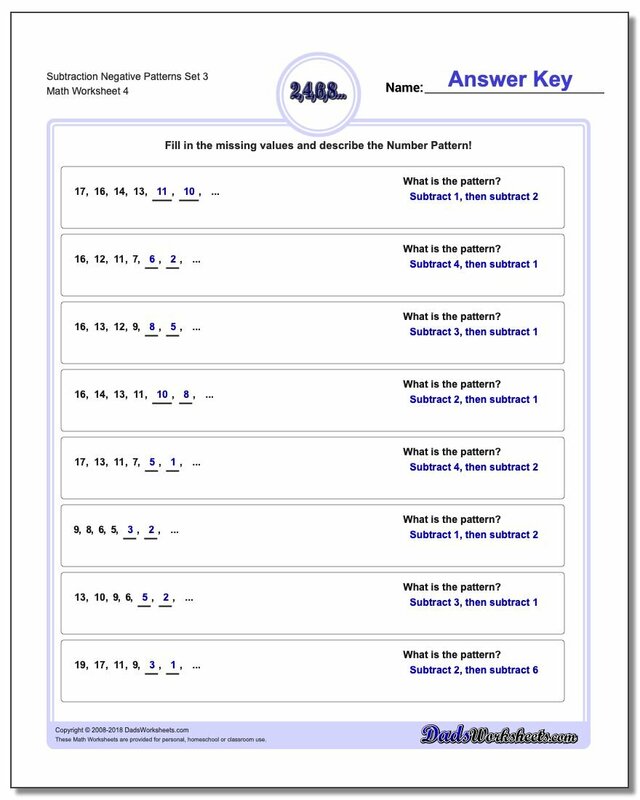 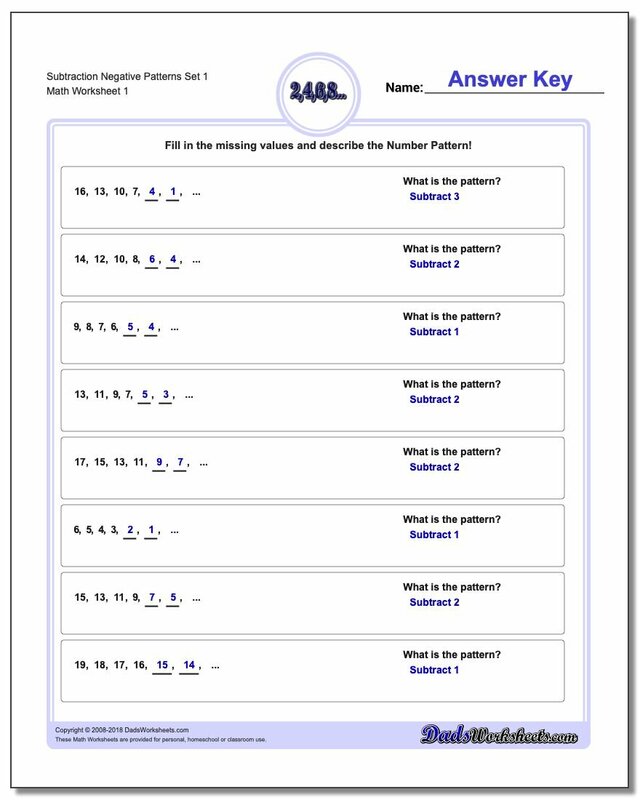 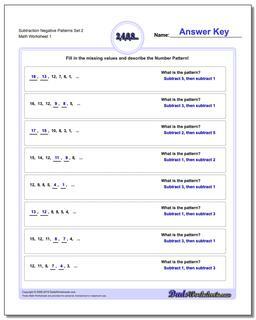 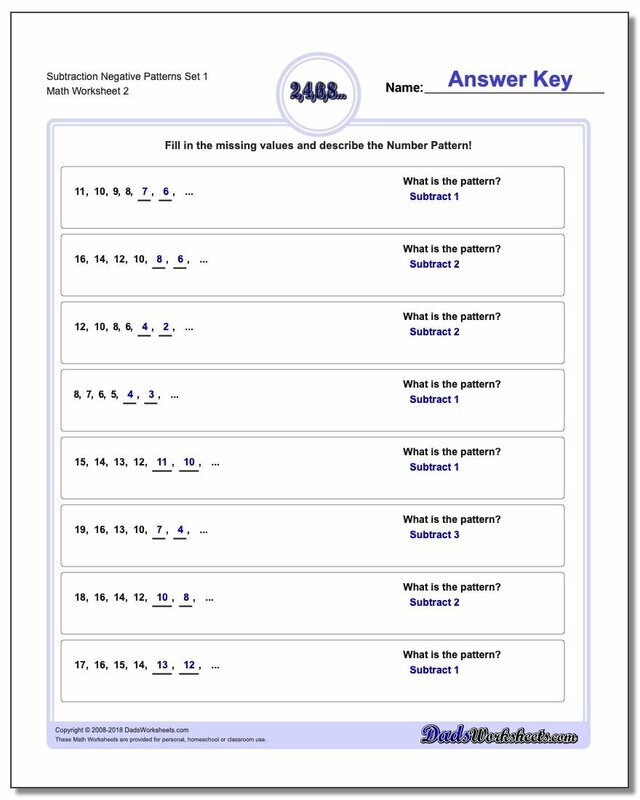 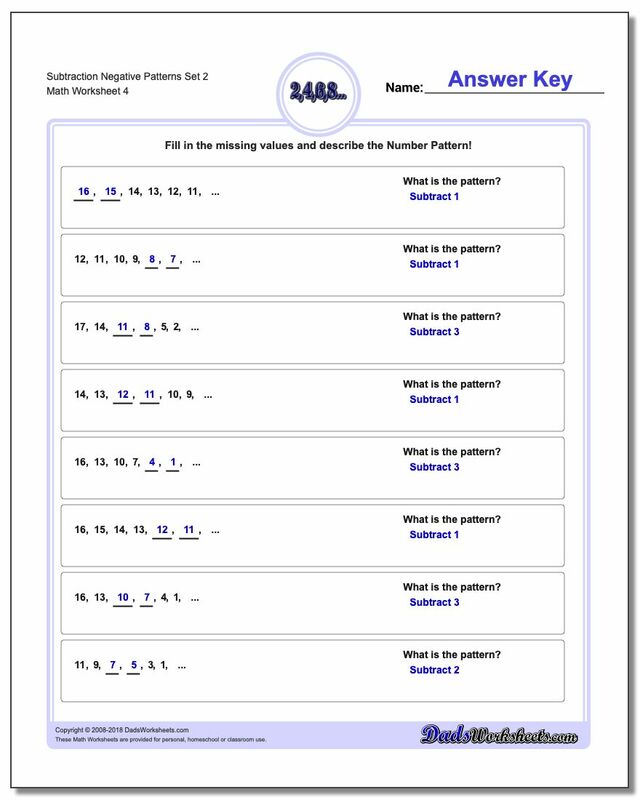 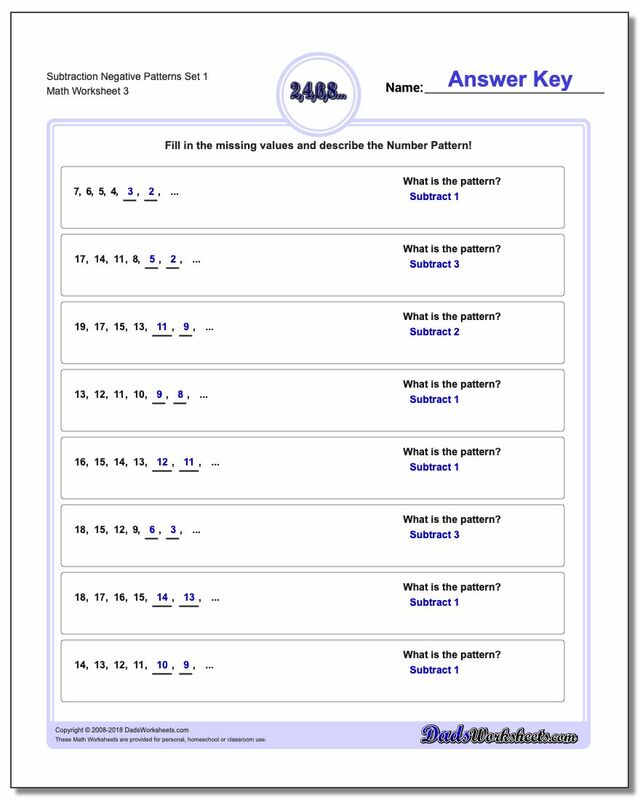 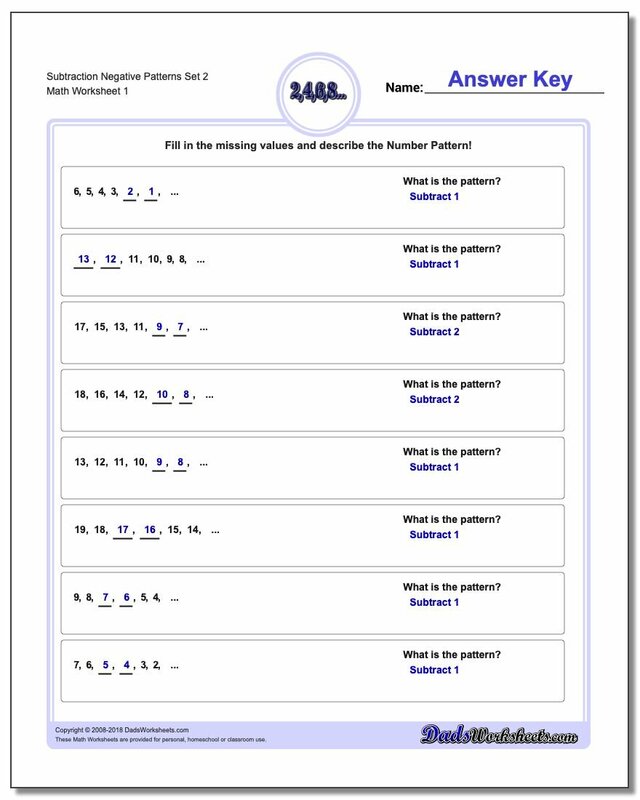 The number patterns on these worksheets allow for transitions across zero and therefore include negative numbers in the sequences (both in the problem and in the additional values students are intended to supply as part of the answer.) These are great practice worksheets to reinforce negative number concepts and build familiarity with moving across the zero on the number line using basic addition and subtraction operations.